If you are planning to visit the most loved beach in New Zealand - Ohope , make sure you take a bucket with you and collect some Tuatuas during low tide. There is something very satisfying about foraging and harvesting your own food. Tuatuas are a species of clams. They are closely related to Pipis and the names are often used interchangeably (though incorrectly!). They are plentiful around this time of the year and are absolutely delicious. 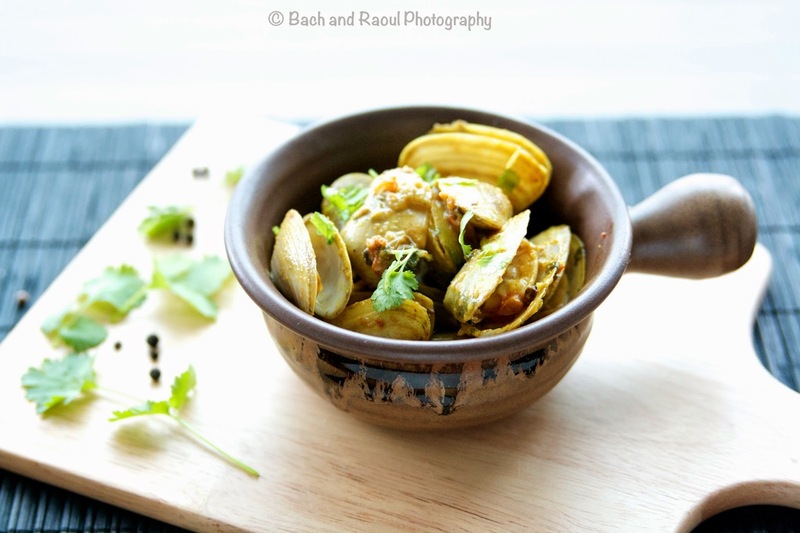 I have posted a recipe for Malvani Pipi Curry before. This recipe is drier and slightly different. Like other mollusks, Pipis and Tuatuas should be be live when you collect them. 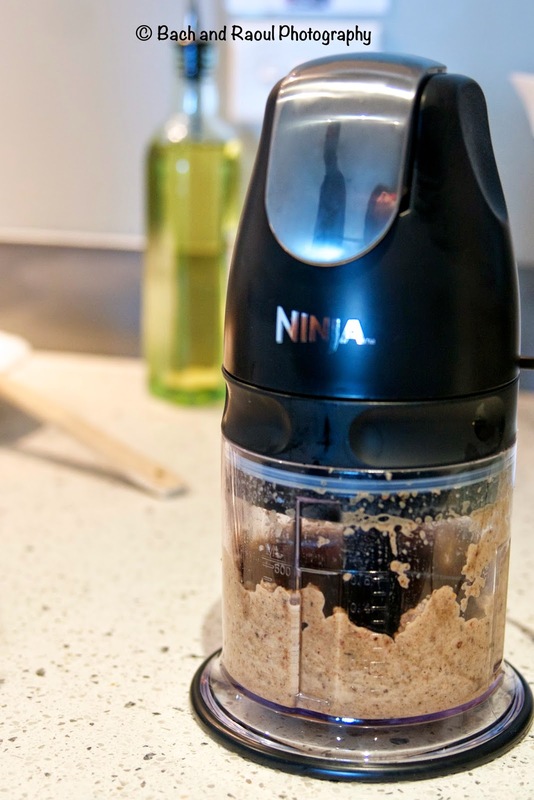 Store them in clean seawater overnight to let them purge all the sand, otherwise they will be quite gritty. 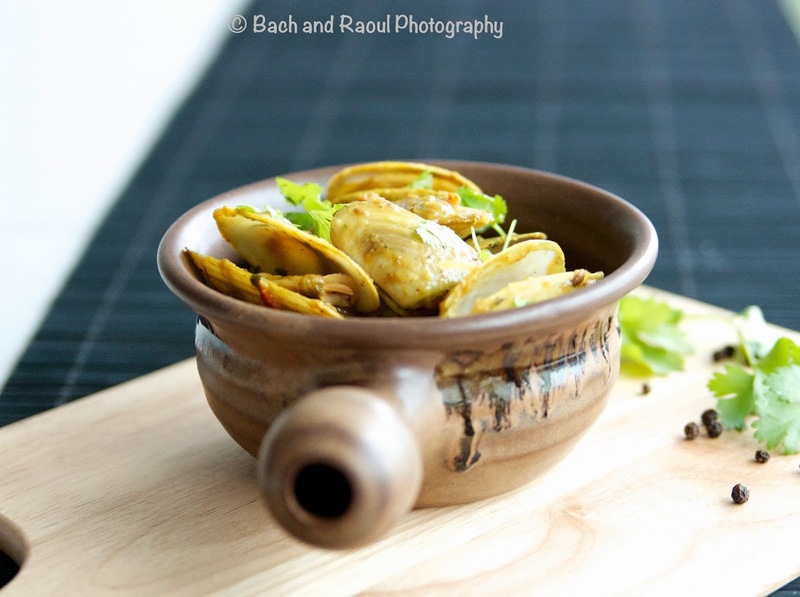 Now, if you are like me you will probably bond with your pipis and don't want to torture them while cooking them. 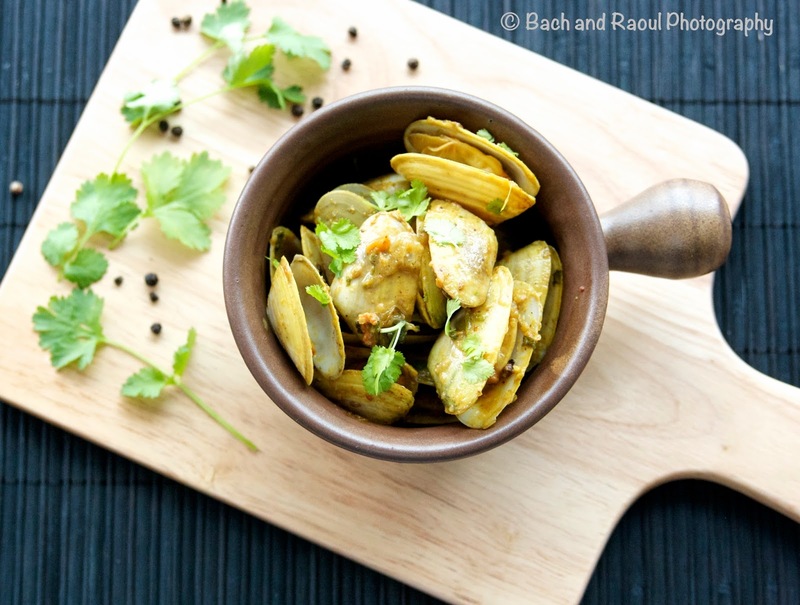 It is often recommended to freeze live shellfish for about 20 minutes before cooking them. I did the same with the tuatuas. I am not sure if it helped ease their discomfort but it sure helped ease mine. 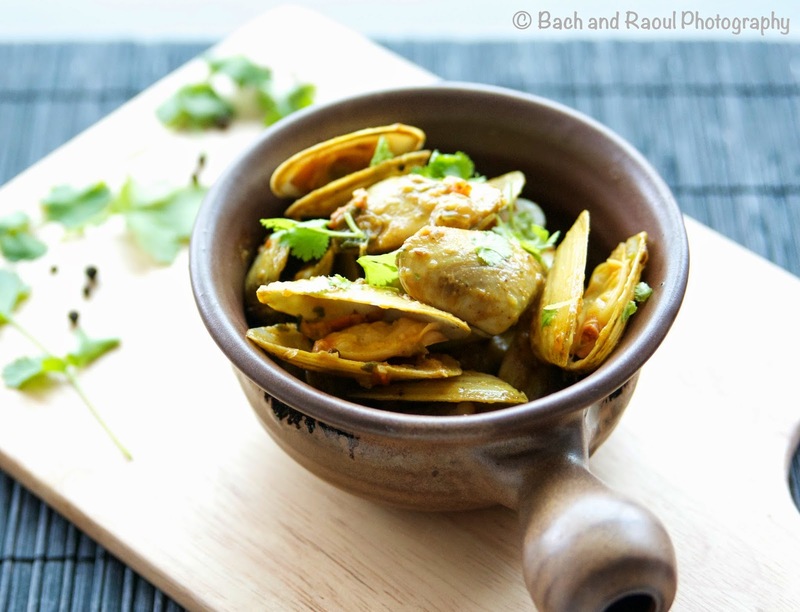 This recipe also works well for mussels and crabs. 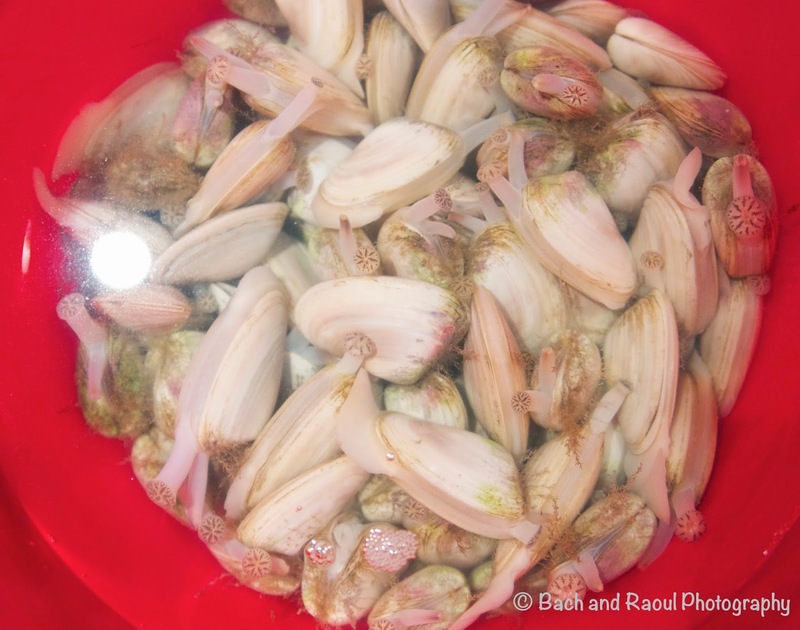 Clean the pipi shells thoroughly before sticking them in the freezer. 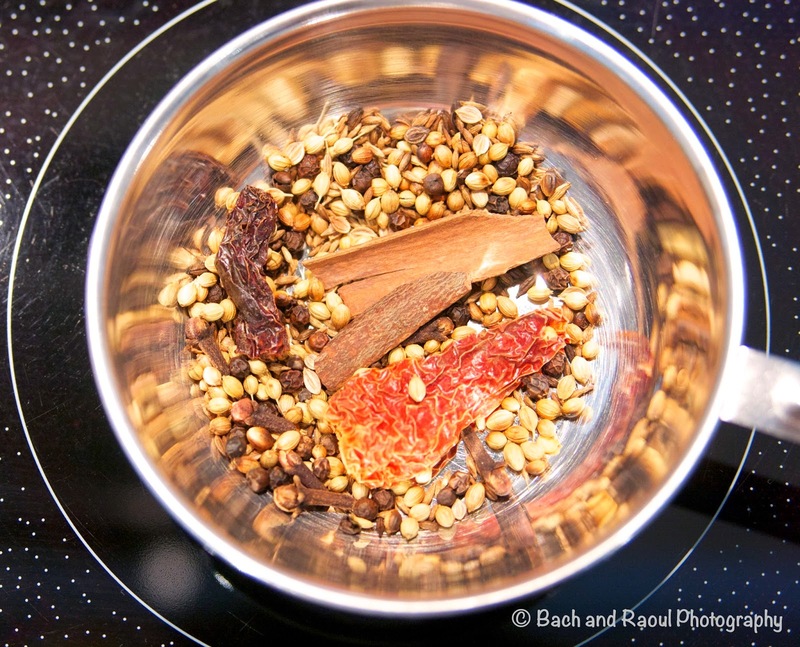 Dry roast the coriander seeds, cumin seeds, cloves, cinnamon and dried red chili. 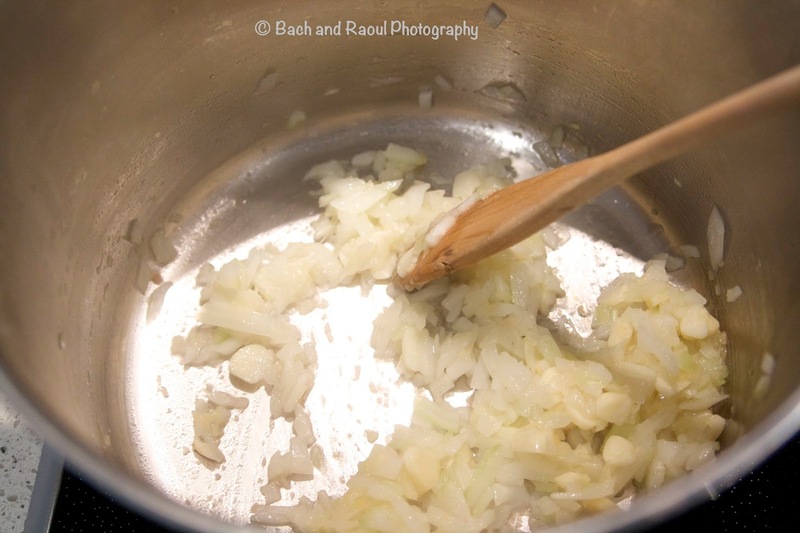 In a deep pot, heat oil and sautée 1 and 1/2 onions, ginger and garlic till the onions turn golden. 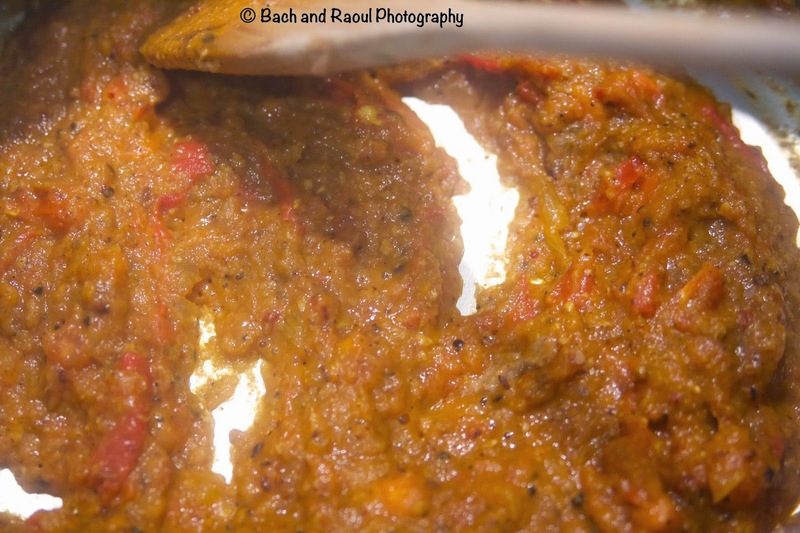 Blend the onion mixture along with the dry roasted spices. Keep aside. Dice the remaining half onion and sautée in a dash of oil along with the turmeric. 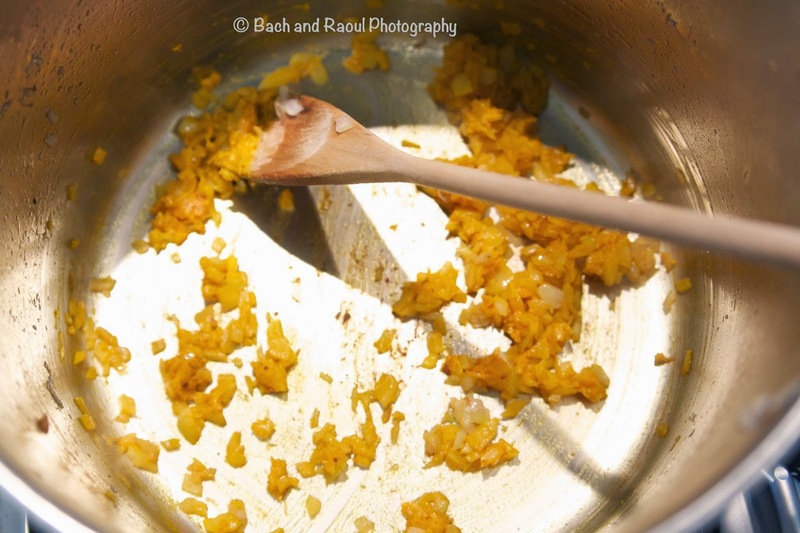 Cook for a couple of minutes till the raw smell leaves the turmeric. 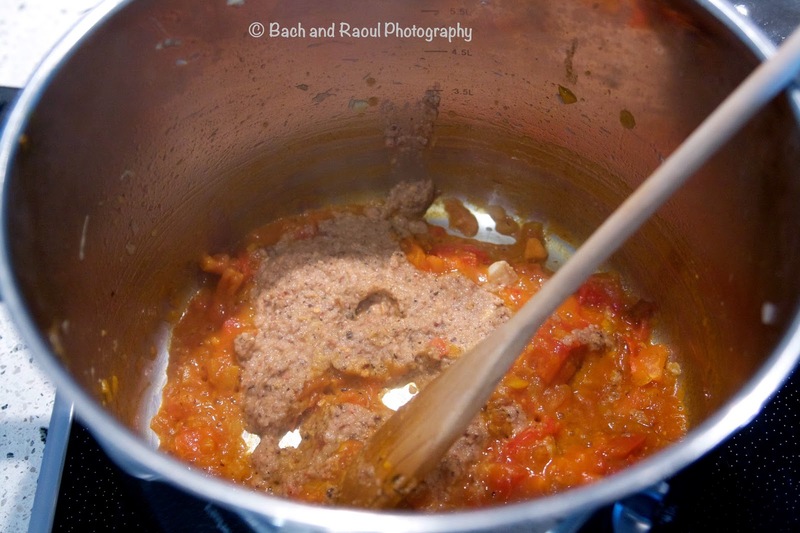 Add diced tomatoes and salt. 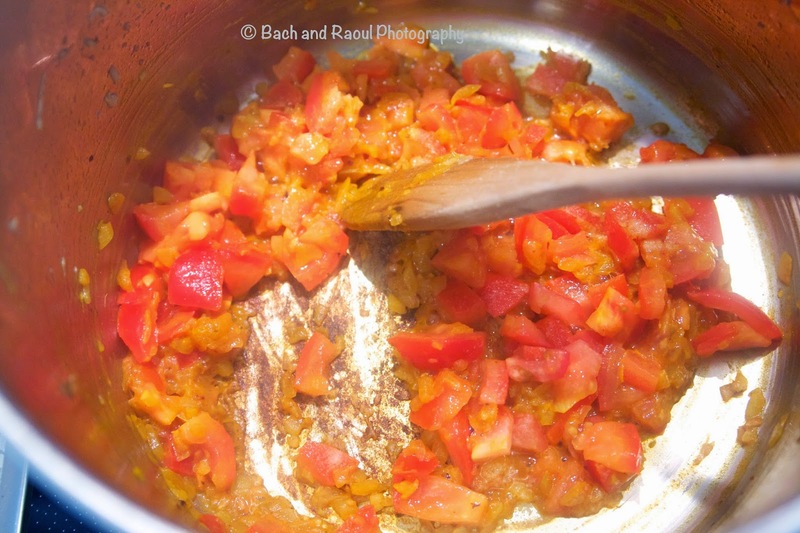 Cook this for about 5 -7 minutes till the tomatoes cook down. Add the onion - spice mix from the last step. Cook this all together till the flavors blend, about 5 minutes. 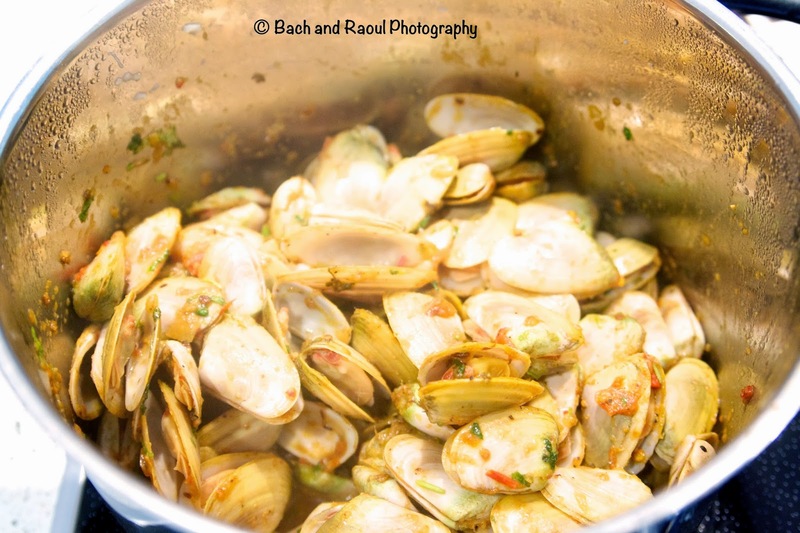 Add the clams. Cook for about 5 minutes still the clam shells open up. Add the coconut cream and let it come to a quick boil. 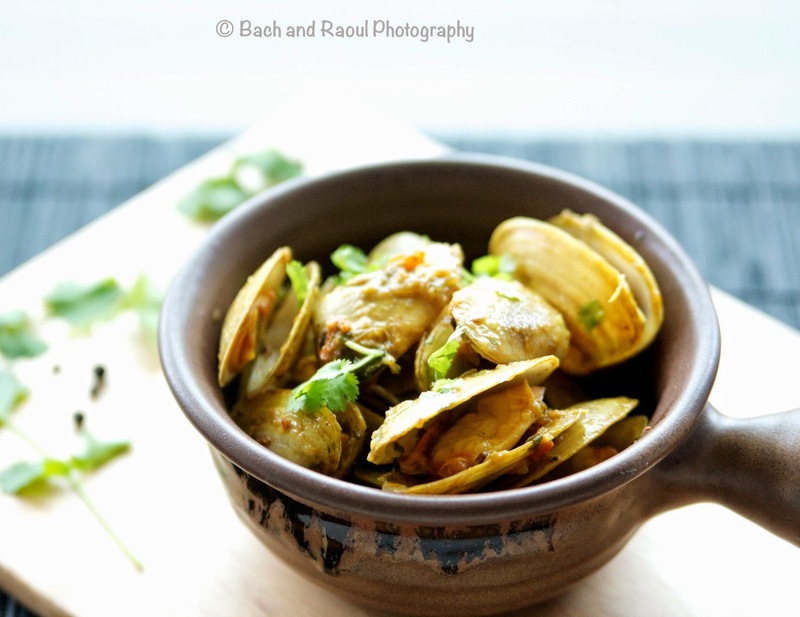 Don't let the clams overcook. They get rubbery. Stir in chopped cilantro. Serve with fragrant basmati rice.